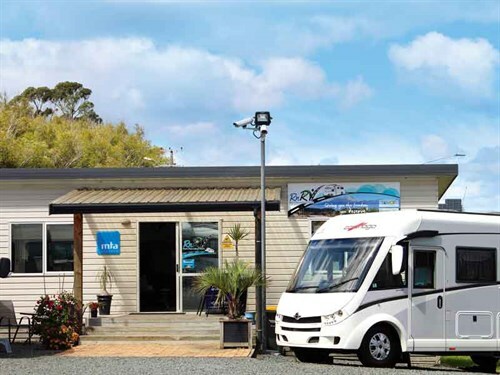 If you’ve ever driven past Silverdale along Auckland’s Northern Motorway, you’re sure to have seen RnRV’s (Rest n Recreational Vehicles) yard full of motorhomes and caravans just along from Snow Planet. The family-owned business has been part of the Auckland landscape since 2009 and is run by Paul and Rochelle Cook. Paul, an ex-marine engineer, grew up with a passion for boating that saw him working on luxury superyachts across the globe. Having worked in Australia for most of the ’90s, Paul returned home to New Zealand in 2000 keen to develop his business skills. After completing a business degree with a double major in enterprise development and marketing, Paul tried his hand in the corporate world but quickly realised the office environment wasn’t for him. Soon after, he took a role as sales manager with a marine supplies company. It was here that a friend suggested a role with a small RV company. "It was a great fit and really enjoyable," Paul says. It wasn’t long before his drive for growth led him to start his own RV business, RnRV. In 2015, Paul and Rochelle decided they wanted to offer customers their own collection of beautiful new products. Paul explains that he chose four privately-owned RV brands specifically to provide a good representation of quality for price. 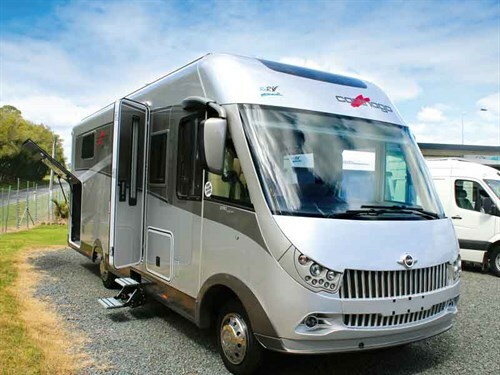 Well-known in Europe where this premium brand is highly regarded for its award-winning quality, German-build Carthago is relatively new to New Zealand and a source of immense pride for the RnRV team. "The quality and attention to detail is immediately apparent before you even step inside," Paul says. 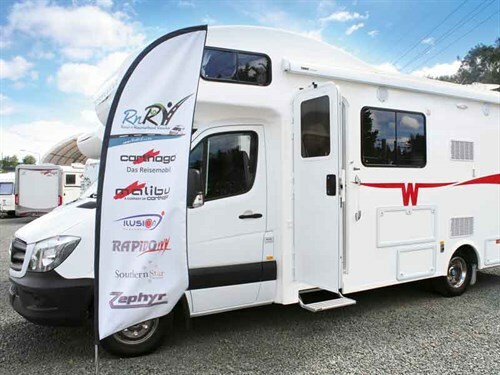 Paul explains that as a premium, top-of-the-line brand, Carthago ticks the boxes for motorhomers looking to invest in the very best quality. "As you walk around the vehicle, you notice every single aspect has been designed and built with long-lasting quality in mind," Paul says. "The garage door is always a great place to start—on any RV—when you want an idea of the overall quality of the vehicle. You’ll notice on Carthago models that even the seals and latches are good quality—strong and made with robust materials." Carthago is a brand we’re very excited about. It’s not an entry-level model by any means but for those who have worked their way through varying levels of quality and now want to travel in an RV where every component has been designed to be the very best. And Carthago certainly delivers. Designed and built by Carthago, the Malibu range focuses on creating classy camper vans with the sought-after features of larger motorhomes. 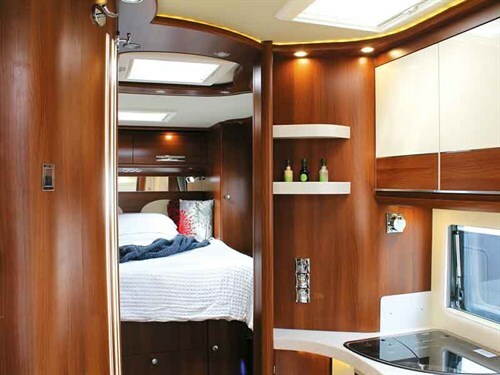 These include a permanent bed and separate permanent comfortable lounge, with kitchen and shower/toilet, wrapped in some cheeky or traditional colours, and built to high quality standards typical of Carthago. 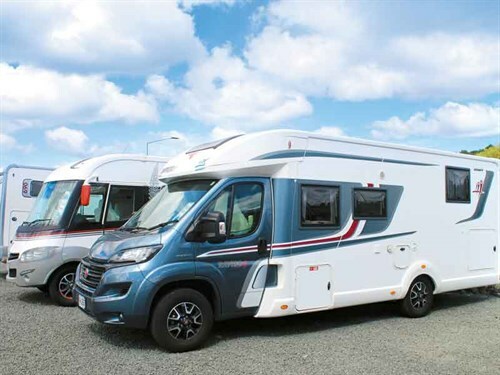 Another brand hand-picked by Paul and Rochelle for its exacting standards, French brand Rapido offers a varied range of European models including low-profile semi integrated to fully integrated A-class. Paul points out the sense of quality and ingenuity inside the Rapido 9094DF, from the elegant timber finishes to the clever drop-down projector screen. "Like us, Rapido is a family business," Paul says. "They’ve grown rapidly but without losing their focus on craftsmanship and attention to detail." A name synonymous with motorhoming, the Winnebago brand has been around for more than 50 years, setting industry standards for quality and innovation. Paul and the team work with DeLuxe Group in Blenheim to offer this iconic brand to New Zealanders. 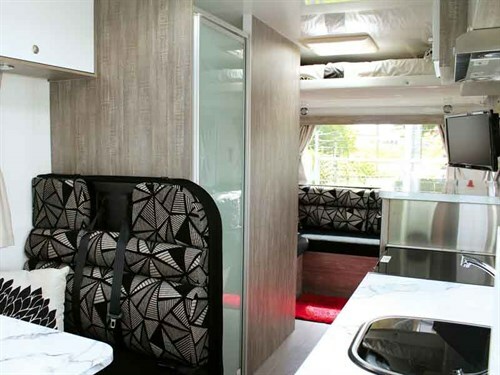 Produced under licence in Australia, DeLuxe’s New Zealand-spec’d Winnebago motorhomes are specifically designed to handle New Zealand’s unique conditions. 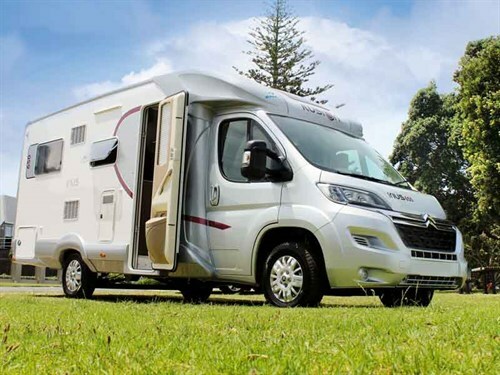 And with a strong blend of premium features and traditional Kiwi layouts and designs giving flair and class, these mid-range motorhomes are proving popular with New Zealanders. Targeted at first- or second-time buyers, Paul says the Ilusion range is a cleverly designed, well-crafted range at a competitive price point. And since bringing the Spanish-manufactured brand to New Zealand shores last year, Paul has been pleased with the response. 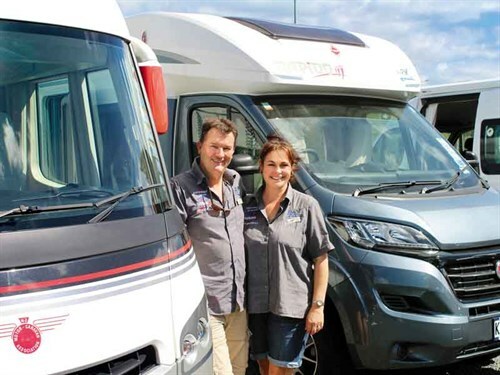 "The addition of the Ilusion range to our offering means we can provide buyers across the budget spectrum with a motorhome that we know will provide them with years of worry-free motorhoming," Paul says. In an earlier review of the Ilusion 740H, Paul demonstrated the Ilusion’s ability to stand up to what he refers to as the ‘thump test’. "You can give any wall surface a damn good whack and trust that it will stand up to the test—no hollow sounds, no dents, or damage." It may not be the most scientific of tests, but it’s a great test nonetheless. 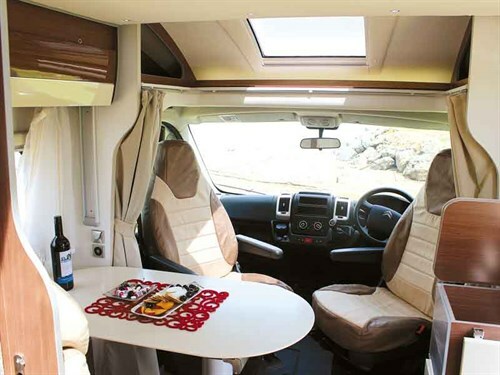 In addition, RnRV also stocks a selection of second-hand Talvor motorhomes as well as a range of caravans from the Southern Star, Leisure Line and Zephyr range. Alongside Paul and Rochelle, the RnRV team includes Jennifer and Emily in the office, Steve and Nadine in sales, Gaye who meticulously grooms the vehicles, and Kurt and his team Craig and Kevin, who manage maintenance, upgrades, and repairs. "We have a small but very passionate and dedicated team," Paul says. "None of our staff work for a commission. Their only goal is to ensure our customers get the right motorhome or caravan to fit their lifestyle and budget. And that’s something that we put above everything else. "We’re not here to shift product or meet sales targets; it’s just not what we’re about. We researched long and hard to select a product range that we trust and that we feel 100 percent comfortable with." And as you talk with Paul and his team, it’s clear that they have achieved that goal and then some. So next time you’re whizzing along the Northern Motorway, head off at the Silverdale exit, along Small Road and into RnRV’s yard. Say hi to Paul and the team, step inside one of their hand-picked motorhomes, and discover for yourself the quality difference. Both Paul and Rochelle have grown up enjoying family camping holidays. Rochelle spent several years travelling and camping in far-flung and interesting spots around the world. The couple still love getting away in their 1956 Chevrolet motorhome and vintage caravan with their four young children to enjoy New Zealand’s wonderful outdoor lifestyle. "Like many of our customers, we love nothing more than to pack up the family Chevy and the caravan and hit the road."